Martti J. Karvonen - Seven Countries Study | The first study to relate diet with cardiovascular disease. Martti Karvonen (1918 – 2008) might be most famous for his equation (Training heart rate=[maximal heart rate-resting heart rate] X desired exercise intensity) that he thought up in 1957, or as the surgeon general of the Finnish army. But subsequently he deployed himself as the “father” of exercise science and of the Seven Countries Study and of the North Karelia project in Finland. In 1945, Karvonen graduated from Helsinki University as M.D. after which pursued a PhD in physiology at Cambridge University (received in 1950). After that he immediately showed interest in sports and exercise science, and became lecturer in Sports Medicine in Helsinki before getting involved with the Seven Countries Study. 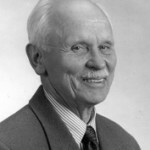 Karvonen was a devoted collaborator as well as an independent investigator who organized Finnish population studies as early as 1956. He later recruited the Seven Countries Study cohorts in Eastern and Western Finland to compare those distinctive cultures within that country. Karvonen was consultant to the World Health Organization from its outset and behind-the-scenes organizer of the North Karelia Project, the first major community project to try to reduce the risk of heart attack. Over the course of a long and active career, he initiated innumerable physiological studies and well-crafted epidemiological studies, clinical trials, and community research projects. He has numerous awards, especially by sports medicine associations in Finland, Germany and the USA.